In 1996 I was homeless, residing in a park and surviving with the support and generosity of the community of Aboriginal people in Perth who looked out for me. I had been travelling across Australia when life and psychosis caught up with me. In dire straits, I was supported by my newfound friends and nurturers, and found my way to an immigration detention centre and was removed as an ‘alien’ of the Commonwealth of Australia. Fast forward 20 years and I am the 2017 Mental Health Nurse of the Year, an award generously bestowed by the Australian College of Mental Health Nurses. It’s been a chaotic journey. Born into a family that was caring, I endured other experiences that told a different story including threats to my life, physical violence and bullying and a confusing sexual assault when I was 13. These events set up a vulnerability that my mind coped with in the best way it could and at the age of 13, I started to hear voices, feel fearful of all consuming entities and see other students in the class room burning up in flames around me – this was my first experience of what would later be called psychosis. Leaving school at 16, failed employment opportunities came and went and I turned to substance use because drug-induced states were at least something I felt I could broadly control. In the UK following my deportation from Australia, I was living in vulnerable and chaotic housing when a GP admitted me to a psychiatric institution. And so began the first of five prolonged hospital stays characterised by the diagnosis, risk assessment and medication (drug) regimes. During my last admission to hospital, having been prescribed four psychotropic drugs, a failed course of ECT and with few options left, a psychologist looked beyond the labels and treatments that had singularly failed to ‘treat’ the condition. I began seeing a psychotherapist who helped me make sense and meaning of the voices, paranoia, suicidal ideation and sense of detachment and “unsafety” in my relationships. At the same time I went to live in a housing community with other people ‘like me’. The staff team, led by a nurse – not a doctor or system – supported space for the eight of us to spend time together. The community psychiatrist decided the antipsychotics, mood stabilisers and anti-depressants were not actually getting rid of the symptoms so there was little point in continuing them. The side effects of the medication had been significant: I was 60kgs heavier that when I entered the mental health system two years’ earlier. I had chronic akathisia (chronic movement disorder), blepharospasm (twitching, blinking or closure of the eyelids), cognitive impairment evident in my lack of coordination and communication and generally dysfunctional, easily appearing to have the negative symptoms of a psychotic disorder. When the drug regime ceased, so did the negative symptoms. Over the next 12 months, the human being inside my psychotic and depressed shell emerged to discover and explore relationships, new possibilities and hopes for a future. This sense of hope was supported and nurtured by the staff (Nurse and support workers) and friends in the housing community and by relentlessly committed family members and a few friends. I did voluntary work with older people, worked on the Samaritan’s phone line, returned to education and found the sense of safety and peace to allow me to understand the meaning and messages in psychosis. My frightened mind and soul were now feeling safe, available to emerge and evolve into a person that could exist in the world without the threats and fears that had underpinned its existence. Over the next 15 years, I trained as a counsellor and psychotherapist and mental health nurse, returned to Australia and recently completed the Nurse Practitioner Masters in Adelaide. Unsurprisingly, my interest is in how people can and do make sense of what professionals label as psychosis and how individuals can define their own recovery with personal choice in methods, interventions and understanding of their own life journey and personal empowerment. In relation to working with voices, I believe voices can be there as a message for what has happened, usually difficult life events, and people need to be able to safely process their trauma. Often the voices will disappear but sometimes they remain and are not threatening once a meaningful relationship has been established with them. The core of being a mental health nurse is about developing relationships and understanding that we are all human beings with spirit, skill, integrity and all the humane qualities we can recognise and share. Understanding people’s stories through a trauma-informed lens towards personal recovery can be seen to embrace the voices of people living with the experience of mental distress. The award is an important part of the mental health nursing profession recognising recovery, not as rhetoric or legislative requirement, but working towards the rights of any individual experiencing psychosis, voice hearing or any mental distress towards their own personal goals. A role any professional or supporter might facilitate. 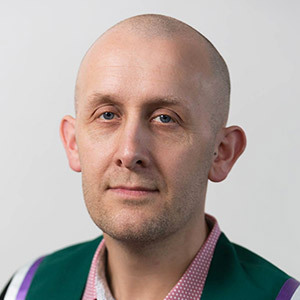 Matt Ball works as a Nurse Practitioner in the public mental health service and in private practice at the HUMANE clinic, facilitating alternative approaches to working with people who hear voices and experience other unusual realities. This work includes facilitating the Maastricht approach, and talking with voices, to working with voices and trauma informed approaches towards understanding psychosis as a response to trauma, adversity or other stress. Matt is also a trainer with Blue Knot Foundation teaches trauma informed care and practice. 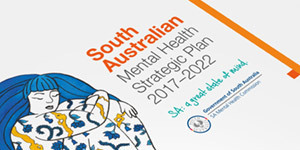 He is the founder of the Many Voices Collective and co-authored, with a voice hearer, the Hearing voices curriculum for the 8-week Recovery College course developed by the Southern Adelaide Local Health Network in collaboration with TAFE.